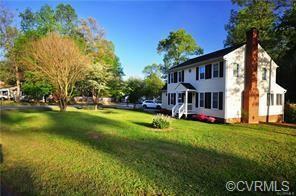 Great 3 bedroom 2.5 bath home with an additional sunroom and spacious deck for entertaining. Newly renovated kitchen and fresh paint throughout. Excellent location to Fort Lee, highways, shopping and everything you need right here in Chester. New roof, new windows, new hot water heater, and a new gas furnace! The perfect place to call your new home! The neighborhood and owner provides tenant with pool and amenity access.